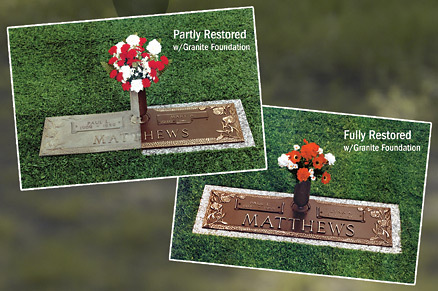 Highland Memorial Park offers the service of restoring Bronze Grave Memorials to their original color and beauty. After many years, all Bronze Memorials will begin to develop a 'patina' which is the natural aging of bronze. Often, people prefer the way the Memorial looked when it was new. Highland Memorial Park can restore any Bronze Memorial to its original condition.